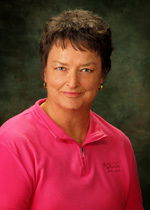 Long committed to local issues, Lynn Marie Starr worked as a secretary for Clark County (Child Haven), the Henderson Mayor and City Attorney, the Henderson Police Department, the Henderson Fire Department, the Los Angeles County Sherriff’s Department, and retired as a clerk for Henderson Municipal Court in 2002. A Nevada native, Lynn Marie spent her early years in Henderson and graduated from Basic High School. She also attended the Los Angeles Art College of Design. Lynn Marie and her husband Dale, who retired as Henderson’s Fire Chief in 1990, live in the townsite home that her grandparents lived in when they first arrived in Henderson at the dawn of the town’s beginning. Preserving Henderson’s history is a project that is near and dear to Lynn Marie’s heart and she is actively involved in recreating the scenes and experience of growing up in Henderson through her drawings and paintings.